Sunday morning, unlike much of the world but in common with the entire Middle East, is a busy time in Israel. It's the start of the working week . For many IDF and security personnel, it's when they make their way back to base after a weekend off. In and around the various central bus stations across the country, it's the peakest of peak hours. 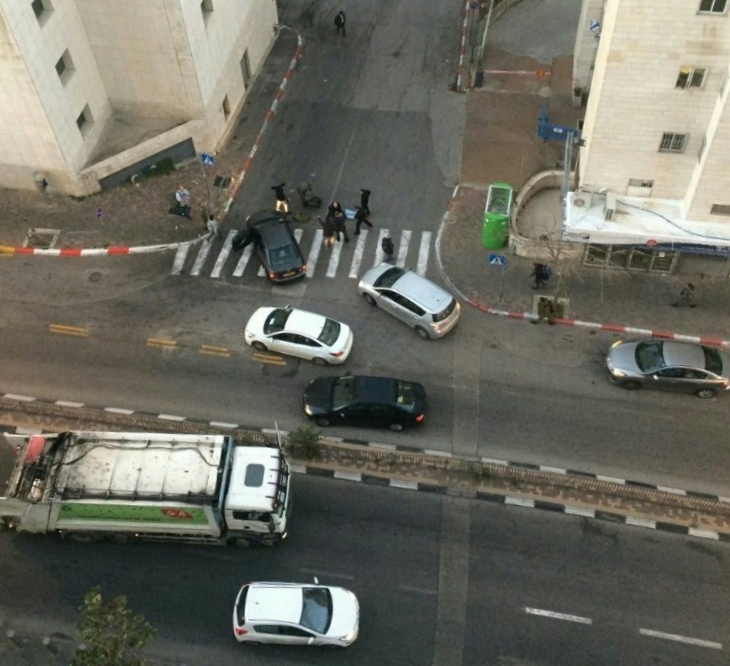 Around 6:40 this morning (Sunday), a Palestinian Arab assailant, armed with a knife, launched a stabbing attack on a young IDF service man, inflicting stab wounds to his upper body. Times of Israel reports that he received emergency treatment at the scene - on Hazvi Street, adjacent to Jerusalem's Tahana Merkazit or Central Bus Station and just a block away from the Magen David Adom ambulance station. He was rushed to Hadassah Ein Karem where it was reported that the 21 year old is in stable condition. The attacker was fired on by a security guard who may or may not have hit him but did manage to subdue him until police arrived. We don't know his identity yet, or his age or home town, but the 'hero' posters which emerge from the Palestinian Arab martyrization industry should be taking care of that as we write these words. Meanwhile he's in police custody and being interrogated. As often as such terrorist attacks happen, no one living in their midst gets used to them. There's reason to be concerned that this will not be the last such assault of the day.